Those who may have been planning to buy a new home are putting that move on hold in some parts of Canada. With economic uncertainty weighing heavily on the thoughts of those in Alberta and it means that rental inventories are under pressure as renters choose to stay put. Despite rising rents many view buying in the current climate as a risk they’re not prepared to make. The Calgary Herald reports that apartment building owners Boardwalk Real Estate Investment Trust has seen increased demand for rental homes. 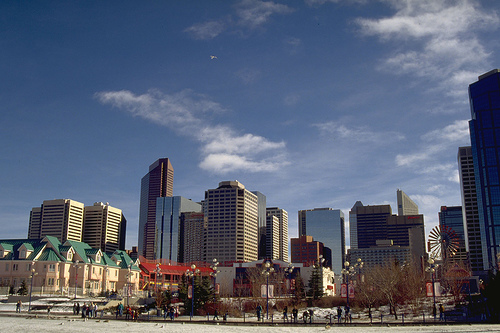 CMHC expects rents in Calgary to be 2 per cent higher this year compared to 2014 and Boardwalk says that its funds from operations, a gauge of the profitability of its REITs have increased by 11.8 per cent in the first quarter of this year with occupancy rates above 98 per cent. The commercial real estate sector will see change from emerging technologies according to a report from Colliers International. The firm says that various shifts in technology will mean that companies will require different solutions to their commercial space. Retailers for example will increasingly use 3D printing to create products; reducing the need for large stock storage facilities. However this could cause location issues for such businesses as 3D printing is classed as light manufacturing and would need to be located in an area zoned for that purpose. It could mean that retailers will shift from traditional space or that they would require two premises. Two other technologies are of particular interest to real estate agents; drones and virtual reality. Unmanned aircraft (drones) allow commercial agents to survey and offer remote viewings at a far lower cost than using a helicopter and camera operator. Colliers expects drone-captured videos to become the standard for property overviews within months. Virtual tours will also begin to become widespread with benefits of time-saving. The city of Medicine Hat in Alberta has ended homelessness; the first Canadian city to do so according its mayor. Ted Clugston told CTV that the city’s ‘housing first’ approach means a homeless person is housed before any other problems, such as addiction, are tackled. He said that 885 people including 225 children have been provided with housing since the scheme began in 2009. Finding a home, covering the first month’s rent and security deposit and subsidizing rent for up to 18 months pays dividends for the community as well as the individual, the mayor says. Fewer hospital admissions and interactions with police are among the benefits seen since the pledge to end homelessness took effect.